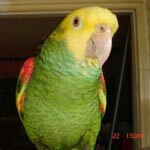 Parrot Forum • View topic - Wing Clipping Regrets? Would you take back a wing clipping? In retrospect, do you ever wish you could go back and undo a wing clipping? Do you wish you could go back and do a wing clipping when it wasn't done? Are there reasons you regret having a wing clipping or lack of one? Or have you done/not done a clipping and stand by your decision some time later? Where's the option for I've never clipped? My GCC came clipped, so I didn't have an option. We have totally bonded so I am letting his wings grow out and see how he handles them. My flighted Scarlet Chested Parakeet flew out the window, never to be seen again. Mine are starting to grow in. I had a situation with the sun ending up in a tree in the back yard and I clipped them both that night. But later determined that I should not clip them and it was my fault, thankfully I was able to get my little guy back. I've never clipped their wings but Malachite came already clipped by his previous owner. I couldn't wait for his flight feathers to grow back. 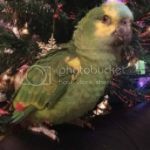 I do not plan on clipping my current birds or any future birds. Bob - have you since put screens on your windows? Cage Cleaner wrote: Where's the option for I've never clipped? I clipped Mango's wings because I thought it would help with taming but I really regret it and I think he would probably make better progress flighted.Mango is a plum headed parakeet and the rest of my birds are all flighted.